A quick and easy peach cobbler - perfect for a quick dessert (or anytime). What's your favorite type of cobbler? 1/4 cup nuts, chopped I usually use walnuts or almonds. Simmer all materials except oatmeal and nuts together. Meanwhile, toast nuts and oatmeal. 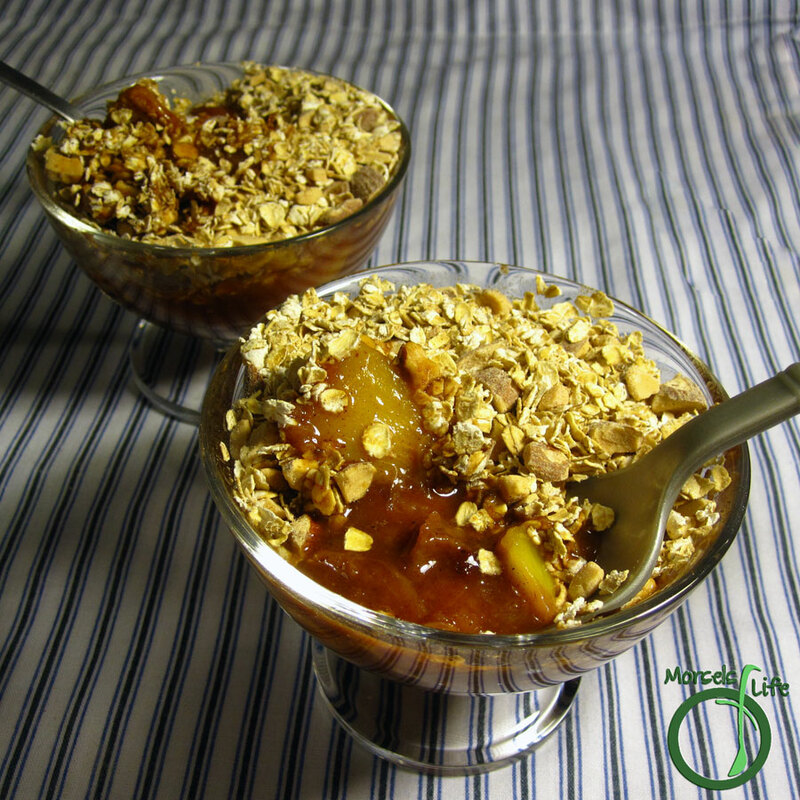 Place peach mixture into bowl, and top with toasted oatmeal mixture. wow that looks so delicious i loveeeee peaches!! thanks for sharing! I LOVE cobblers! Especially apples and peach. Thanks so much for sharing at Must Try Monday. Thanks for hosting! Glad you like cobblers. :) I like this one (and the apple version) in particular since they're so quick and easy. This looks SO delicious! I can't wait to try it. :-) Feel free to come over and link it up with my "Try a New Recipe Tuesday." I'd love to have you join us. Have a great day! Thanks for linking up! :-) Hope to see you again next week. :) Looked like you had lots of tasty eats linked up!